Food and music go hand in hand……. 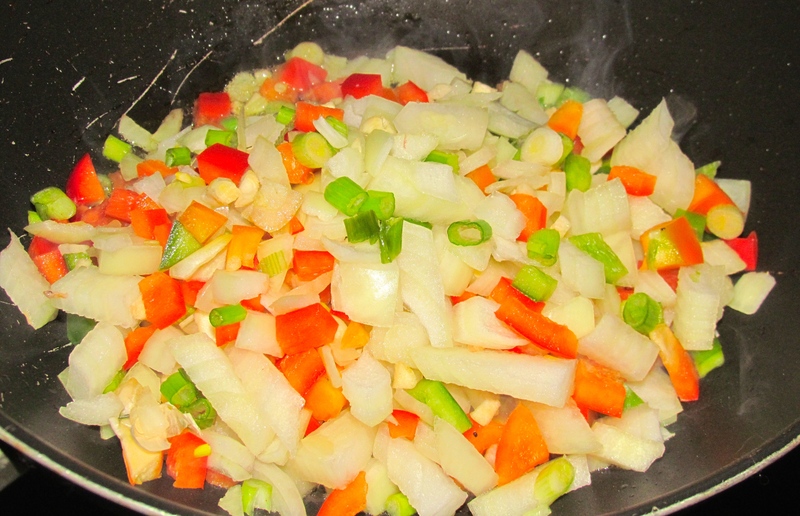 When I cook, I am always humming or singing to some song that just pops up in my head. 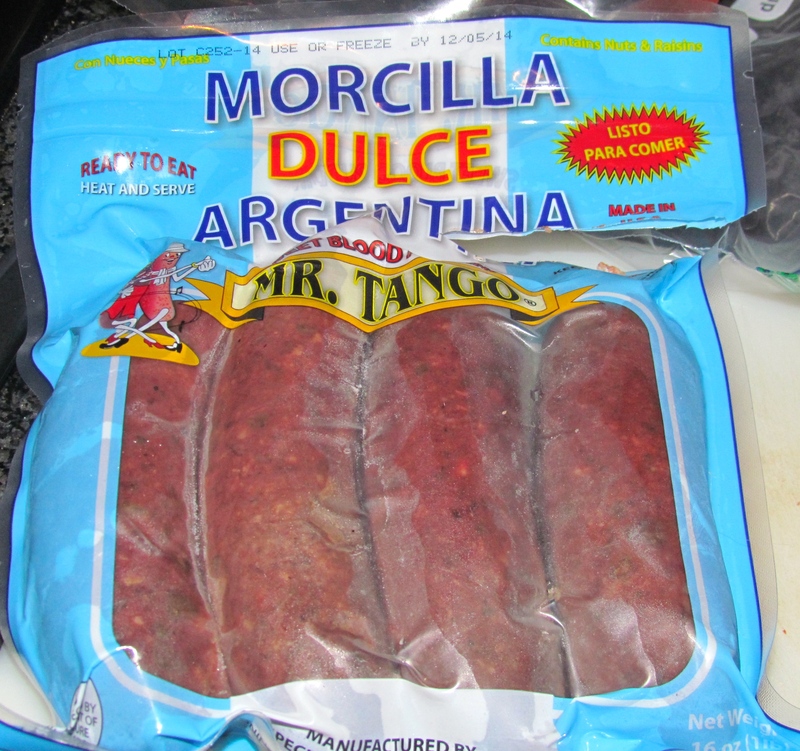 Today I found myself humming for over 1/2 to the tune of one of Uruguays Anthems “Himno a Artigas” which is not particularly joyful or the kind of thing one would hum to, so that made me think that my subconscious was connecting the food I was making to the song? 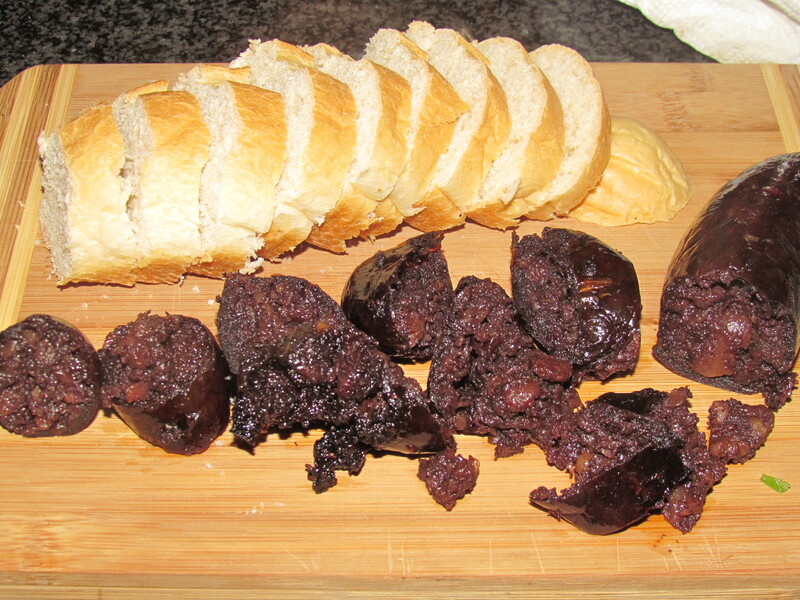 The other day I was in Sedanos, our local latino store and bumped into some Morcilla Dulce aka Sweet Black Pudding or Blood Sausage and next to it was some Chorizo Picante aka Hot Sausage. 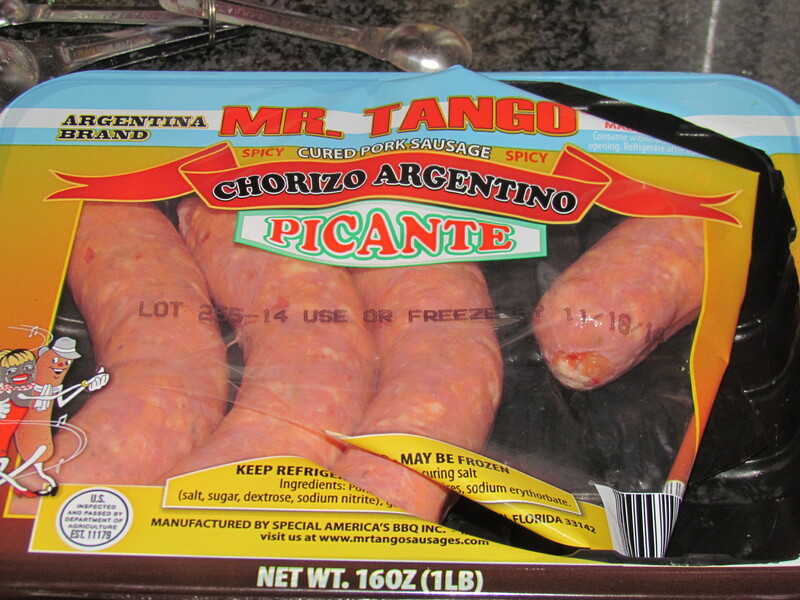 If I can’t get Uruguayan one I will settle for the Argentinian ones :-). So I bought them both and that is what I decided to make for dinner tonight! 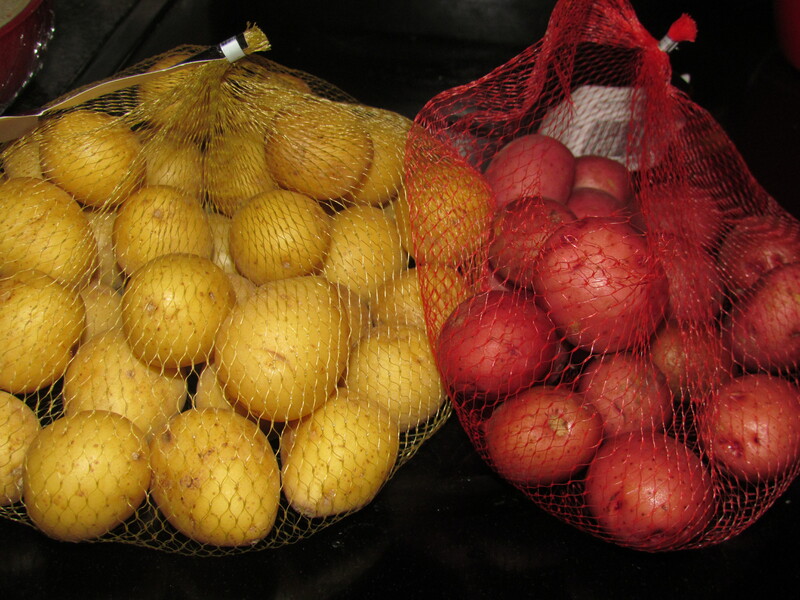 I parboiled some lovely red and yellow baby potatoes and sautéed some onions, garlic, green and red peppers. 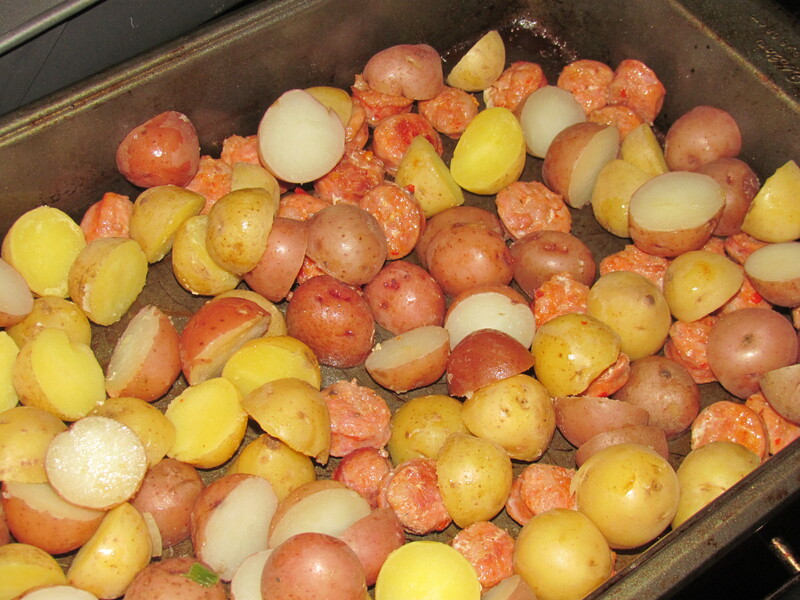 The sliced chorizo and whole morcillas went into the oven. 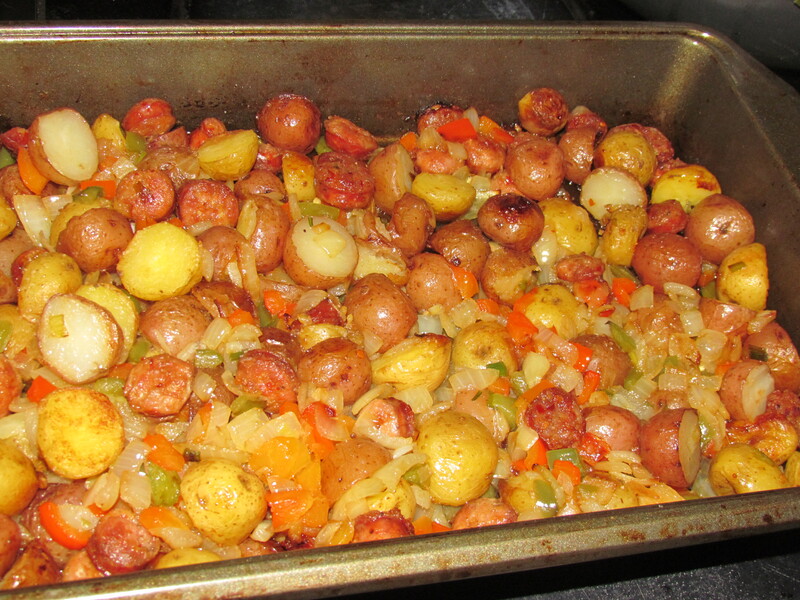 Once the chorizo was cooked, I added the potatoes and veggies and let them all roast together in the oven. The last minute dinner mush went down very well with a dollop of sour cream and was gone in a flash! Next Decorating your dinner table ……….